CEREFunds project development Division provides services for discipline of planning, organizing, securing, managing, leading, and controlling resources to achieve specific project goal. 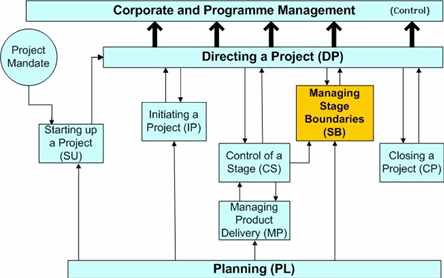 Project advisory is an endeavor with a defined beginning and end (usually time-constrained, and often constrained by funding or deliverables), undertaken to meet unique goals and objectives, typically to bring about beneficial change or added value and as such requires the development of distinct technical skills and management strategies. The primary challenge of our project management team is to achieve all of the project goals and objectives while honoring the preconceived constraints that bind the project. The primary constraints that we can manage are balancing the scope, time, quality and budget of a project. The secondary —and more ambitious— challenge is to optimize the allocation of necessary resources and integrate them to meet pre-defined objectives. The primary goal of our corporate team is to enhance the corporate value for our clients without them taking excessive risks with their investments. We balance out the long term and short term decisions and techniques with optimal budget decisions which incorporate both long term value by increasing short term returns. We assist clients with the full turnkey platform for the management of their assets and projects to optimize the use of the resources obtaining the targeted return on investment. CEREFunds provides project development services and decision support tools for clients to help them determine whether to develop a project or to merge within a company etc. With a single act, a Client can accomplish growth that would be unattainable without our management solutions. We support Companies to help them achieve faster growth, vertically integrate their business to complement their supply chain, incorporate intangible assets into their balance sheet, optimize their project goals, and adapt to changing trends in the industry. We identify optimal project management structures and execute diverse and innovative methods to help clients achieve their objectives. With our global network, CEREFunds seeks to provide clients with the broadest range of resources from strategic allies. Our global relationships, coupled with a sound understanding of regional economies, industries and cultures, help us deliver on high quality advice and service. In some jurisdictions, CEREFunds’ Real Estate Development Division provides Comprehensive Building Engineering Management Services, Project Management Services, and Real Estate Development Services. These service packages are constantly being expanded to provide investors a complete solution for real estate development.